This is one of our favorite soups, winter or summer. An added bonus is you can freeze leftovers and use to top off nachos for another meal. Yum! Brown ground beef, onion, and garlic. Toss in seasonings. 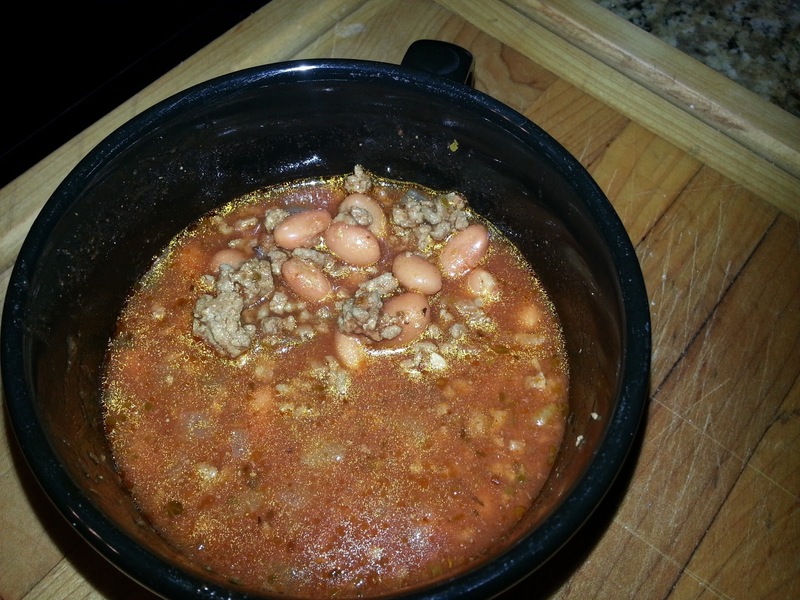 Drain pinto beans & hamburger together, then place in large pan. Add the rest of the ingredients. Simmer for up to 2 hours. Serves 4. Enjoy!